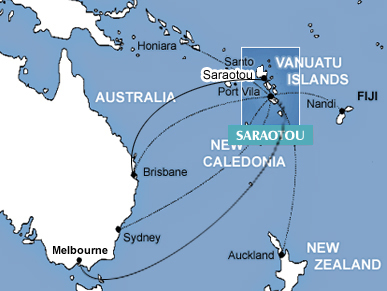 There is a direct flight from Brisbane to our Island, two and a quarter hours. If you are coming from the Main Island (Port-Villa), the flight is 50 minutes. We meet you for the 15 minute drive to THE NUTS. There you are offered a mix of Australian, Contemporary and Melanesian design which will totally relax and absorb you within hours of arrival. 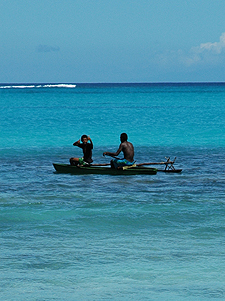 Copyright © 2008 Espiritu Santo, Vanuatu.